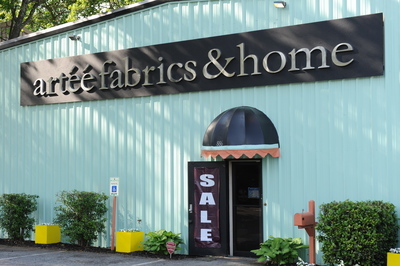 Artee Fabrics & Home is your place to get that unique trim for your drapes, cushions, furniture or any other application. A carefully selected trim adds that special finishing touch to your design. A trim can add color, oomph to an otherwise simple design - leaving it elegant, yet giving that finishing detail. Trims, Tassels, Tiebacks, Braids, Tapes, Cording, Gimp are all different embellishments that can be used with fabrics for draperies, cushions. These are available in a wide assortment and a wide range of colors. In each of our stores we have, trims in stock for you to take with you! No need to wait someone to send you a piece. You can match the trim that you selected with the fabric right on the rack. That flexibility can only come when you are designing your masterpiece hands on! Come on in and choose the trims from our large selection. We have a large assortment of trims for you to choose in our stores. We have a large collection of gimp, cords, fringes in virtually every style, color and width. If you cannot find it anywhere else we probably have it. If we do not have it we will try to get it for you. We have a large collection of speciality trims. Stop by and take a look, and take it with you. No need to wait. Choose from a large selection of beaded trims.